We looked at the top 1 Epilators and dug through the reviews from 4 of the most popular review sites including BestReviews, Epilator Girl, Grooming Essentials and more. Through this analysis, we've determined the best Epilator you should buy. One unique feature of the Emjoi Emagine Dual Opposed Epilator: its "lifting finger," designed to help prevent ingrown hairs. It has 72 tweezers, allowing it to cover a much larger surface area at once. Its affordable price also makes it budget-friendly. In our analysis of 41 expert reviews, the Emjoi Emjoi Emagine Dual Opposed Epilator placed 5th when we looked at the top 10 products in the category. For the full ranking, see below. Checkout Emjoi Emagine Dual Opposed Epilator for a detailed review of all the top epilators. Contains 72 silver ion tweezers with antimicrobial properties. The 72 tweezers transform it into one of the most powerful and fastest epilators. Epilation should be a rapid process thanks to the Emjoi Emagine AP-18. Ergonomic design - easy to hold and comfortable to use soft-touch grip and curved shape, specially designed for women to follow the contours of the body. The surface of this epilator (at least the tweezers) are has antimicrobial coating that protect skin from infection. 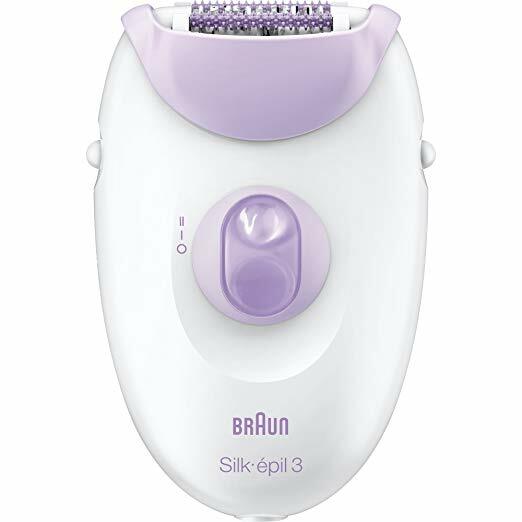 This is the only epilator with such. The head generates heat, so caution should be used when repetitively targeting specific areas of the body. Another con would be the absence of a facial cap which would have been nice, but that doesn’t mean that you can’t use it as a facial epilator, as well. The risk of ingrown hairs is the only really annoying thing, and even this can be reduced and managed by using the correct technique and ensuring that the area is exfoliated regularly. One potential issue with this epilator would be the plastic gears. Plastic isn’t as sturdy as metal and may not last as long.